Hello, friends! Today I have something new and exciting for you: a makeup challenge! 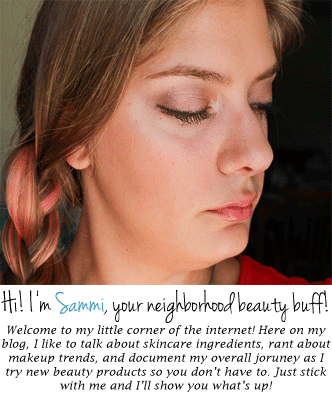 I realized that I hardly ever show my face on this blog, so starting this week, I'll be participating in the Greek Goddess Makeup Challenge with a bunch of my beauty blogger friends. Each week, we're taking on a new Greek goddess and using her as inspiration for a makeup look! I'll be sharing what products I used and how I used them, so you can recreate my look at home when you want to channel your inner goddess. And if we have different tastes, that's fine--there will be a bunch of different bloggers' looks to choose from! Today's Greek goddess is Aphrodite, the goddess of love and beauty. I wanted to do something with a glow, with a gold eye and a glossy lip. My main inspiration for this look was the story of Paris and the Golden Apple. In ancient Greek mythology, Paris is a regular ol' guy who is given the choice by Zeus to decide which goddess is "the fairest of them all" and give her a special golden apple. Naturally, each goddess tries to bribe him into picking her. Aphrodite offers Paris the most beautiful woman in the world, Helen of Troy, and Paris chooses her. (This then sparks the whole Trojan War since Helen is already married, but that's not important). I wanted to make this look wearable for every day, so it's not crazy. It's just a pretty look that you can use whenever you want to feel like a beautiful enchantress (but naturally, of course). I started with priming my T-zone area (forehead, nose, chin) with Benefit's Porefessional Primer, to help blur some of my enlarged pores and make my foundation go on smoother. I then sprayed some e.l.f. Studio Makeup Mist & Set onto my foundation brush before going into foundation. Not only will it make my makeup last longer, but I was using a natural-haired brush with a liquid foundation, so I used it to kind of prevent it from soaking up all of my foundation. I went with a BB cream for my foundation, because I just don't like anything too heavy for the summer. 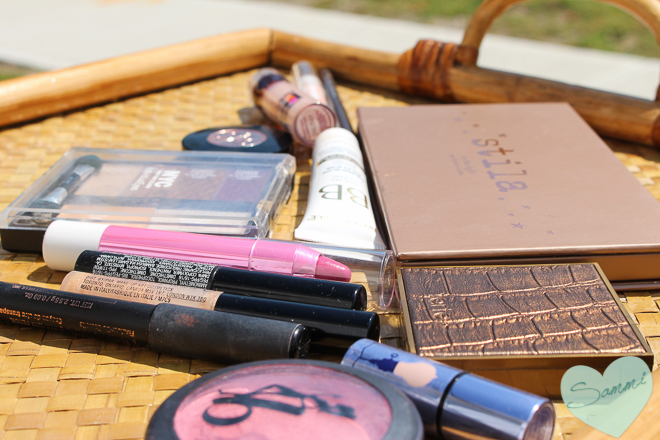 Plus, I got a little tan, and this product finally matches my skin tone! It provides a light coverage, but doesn't really look like I'm wearing makeup. 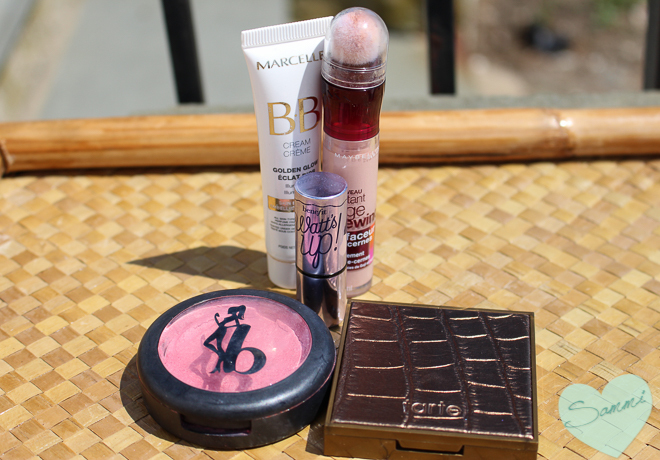 Then I just went ahead and applied some undereye brightener, bronzer, blush, and cheek highlighter. Eyes are always the most fun for me. I like playing up my blue eyes, so I used mostly gold to make them pop. I started with the primer from my NYC Union Square Palette. 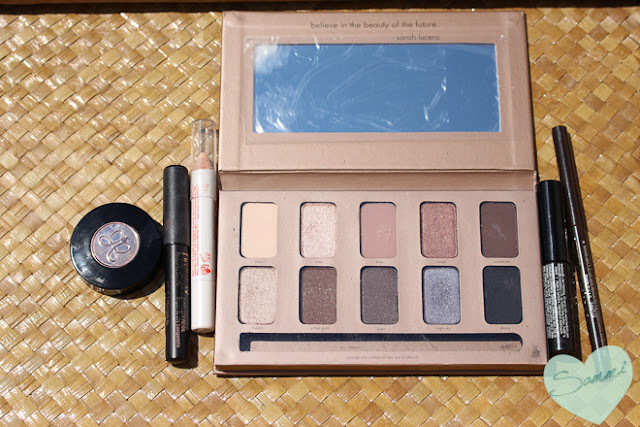 For eyeshadow, I used the shade "Bubbly" from my Stila In the Light Palette all over the eyelid. Then, to make my crease stand out, I used "Bliss" as a transition shade to make blending easier, followed by a mix of "Sandstone" and "Gilded Gold." I used the "Kitten" shade as an inner corner highlight, and applied some of my cheek highlight to my brow bone. The eyebrows were easy. I just filled them in a bit with my Anastasia Brow Powder Duo and set them with my Anastasia Brow Fix Brow Primer. To conceal any stray hairs that were too short to tweeze, I applied some of my Chella Highlighter Pencil under the tail of my brows. After that, I just applied some brown pencil eyeliner, smudged it out with a Q-Tip (because 1) I like the smudgy look, and 2) my hands always shake when I apply eyeliner, so blending it out a bit makes it look like I nailed it on the first try). After curling my lashes and applying mascara, I'm done! Lips were the easiest. 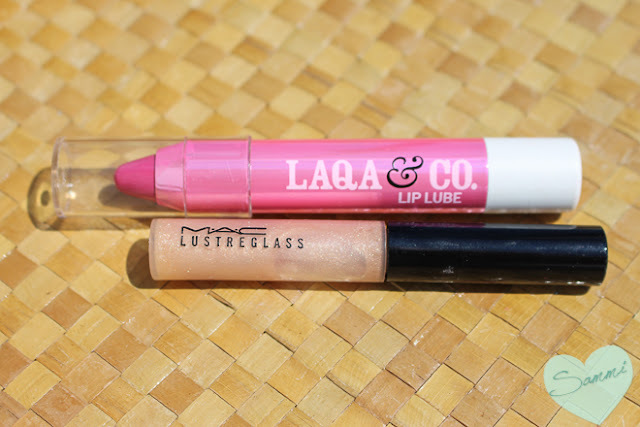 I just applied a little bit of my LAQA & CO Lip Lube Pencil (I hate that name) before covering everything with my MAC Instant Gold Lustreglass. This lipgloss has little flecks of gold in it, so I thought it would pair really nicely with the eyes. When I was done, I sprayed my whole face with L'Oreal Infallible Makeup Extender Setting Spray ($17) so it would last all day. I wanted this look to be glowy, so I went without a setting powder, but if you're oily (or aren't a fan of a highlighted look), feel free to use powder! I just thought it would be pretty for summer, and the L'Oreal setting spray usually solves all of my makeup meltdown problems. Well, that's everything! I hope you liked this look! I don't wear a full face of makeup on a regular basis, so this was a lot of fun to create. 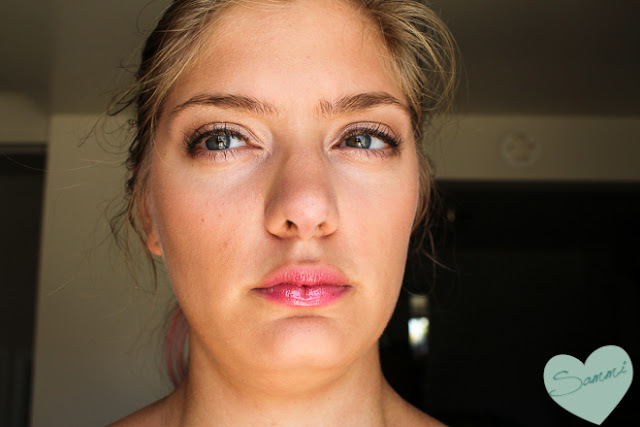 Maybe I'll do more makeup looks on this blog after this challenge--I had a good time doing this one! Not your style? That's fine! Check out the other bloggers' looks below! Want to join in the fun? Email itsmejiawun@hotmail.com. Next up is Artemis! Who's your favorite Greek Goddess? What do you think of this look? Would you wear it? It's all Greek to me! Disclaimer: Not sponsored. Some of these links are affiliate links. DIY Disaster: Reverse Hair Washing?